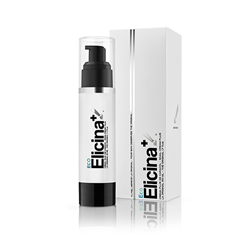 Elicina, the world leader in snail cream skincare, recently released a new video touting the strength of the company’s products based in Chilean brown snail mucin, which is scientifically proven as the strongest in the world in healing and regenerative properties. The healing properties Elicina’s snail extract, which is made up of collagen, allantoin, mucopolysaccharides, proteins and vitamins, were discovered by chance in the 1980s. “This is a secret that nature has kept for millions of years. Of all the terrestrial species, recent scientific research has shown that the Chilean land snail is the only one that has regenerative substances in one of its secretions,” the video’s narrator proclaims. “Twenty-five years ago, Elicina became the pioneering company in obtaining the unique and beneficial skin extract without causing any damage to the snail. The healing properties Elicina’s snail extract, which is made up of collagen, allantoin, mucopolysaccharides, proteins and vitamins, were discovered by chance in the 1980s. At the time, the Bascuñán family grew the snails for the French gastronomic market. But the correlation between the effect of the extract on the snail and its shell and similar healing properties on cuts on their hands was later confirmed by dermatological studies. The family wanted to create products that contained high concentrations of the secretion (Elicina products contain 80 percent snail mucin) to help people with a number of skin problems, including simple hydration to healing cuts, scrapes and skin irritation from shaving, efficacy against wrinkles, stretch marks, acne marks, blemishes and scars and more, and the video shows off before, during and after pictures of how Elicina has helped burn victims and other skin conditions, and how they healed after using Elicina Snail Cream products to aid the healing process. Elicina’s catalog of products includes its Eco Elciina XT Eye Countour Cream, Eco Elicina Nourishing Cream, Eco Elicina Plus Moisturizing Cream, Eco Elicina Pocket Moisturizing Cream, Eco Elicina Pocket Nourishing Cream and the brand new Neck Cream AV, all recently repackaged to suit U.S. guidelines. Elicina’s products are all derived from the Helix Aspersa Muller snail, of the species Cornu Aspersum, which is native to Chile. No snails are harmed in the mucin-harvesting process, and the company will soon have the products certified organic. For more information on Elicina, visit http://www.elicina.com.